We have over 60 years of experience providing qualified, affordable driving instruction to North County and the surrounding area. Practice makes perfect! We know you’ve heard that before, but it’s especially true with driving. The more experience and practice you accumulate before your road test, the more prepared you will be to pass the road test on your first or second try and earn your driver’s license. Professional instruction is important for several reasons. First, a professional driving instructor is more familiar with the rules of the road than the common driver, which means you are more likely to learn from these professionals the proper habits for driving safely, confidently, and correctly in all driving situations. This is also a reason why we often suggest against parents being the first driving teachers of their teens – sometimes more experienced drivers, as parents usually are, will accidentally pass on driving lessons that are too advanced for their teenagers. Experienced drivers often use “shortcuts” in their driving, such as reversing quickly, parking in narrow and unusual spaces, completing a u-turn in a busy area, and going past the speed limit on open roads, which inexperienced and new drivers should not be exposed to until they know how to drive traditionally and correctly. Perhaps more importantly, many of the shortcuts used by experienced drivers would cause a point deduction during a road test! 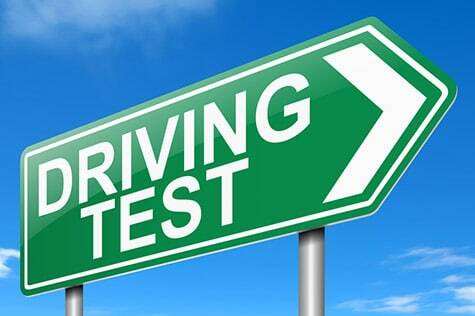 Second, professional driving instructors are familiar with the actual road test and you will be given a practice DMV drive test. This helps new drivers become more comfortable with the actual road test before it is administered. Our driving school offers a number of different hourly packages, because new drivers will often have unequal access to cars; yet, everyone needs a lot of practice! For example, teens often do not have their own cars to practice on, so longer practice sessions from a professional driving instructor can help make up for that since you can use our cars. If you do have access to a car, then you can choose fewer hours of professional instruction simply because you have a car to use for practice in your spare time. Either way, the bottom-line is that you need a lot practice if you are going to pass the road test. Road test administrators have dozens of criteria they are using to evaluate your performance, and they take their jobs very seriously. (After all, this person is directly responsible for putting safe drivers on the road!) Seemingly small mistakes in turning, parking, speeding, and more can translate into big point deductions quickly and cause you to fail your road test if you are not careful. For this reason, it is important you receive hours and hours of practice, because it is the only way to become an experienced driver with good habits and judgment calls. This is probably a no-brainer, but if the vehicle you bring to the road test is behind on inspections, registration, insurance, or any other factor that can prohibit you from driving it, the Department of Motor Vehicles will find out, and you will not be able to take the road test in that vehicle. Good drivers make good decisions, constantly. Driving requires making lots of big and small decisions quickly and correctly, and that requires confidence in your driving skills. Sometimes even the best drivers will get nervous during the actual road test, and the loss of confidence will negatively impact their performance on the test. Our suggestion to deal with this is simple: be confident in what you know, and take the test only when you are ready. If you have received professional instruction, hours of practice, and experience in a safe and Department of Motor Vehicles approved car, then what you know about driving should be sufficient to earn you a successful outcome on test day. Just be confident in the skills and instincts that you have developed through hard work and over time, then take a deep breath on test day, and get yourself a driver’s license. You’ve earned it. Our professionals have over 60 years experience in the traffic education field, including classroom driver education, online driver education, behind-the-wheel training and formal in-school education. For this reason, North County School of Driving has been developed to ensure both quality and effective training through the best mediums available today! © 2019 North County School of Driving.